Enjoy the convenience of an online health profile with the comfort and style of our all-time favorite dog tag! 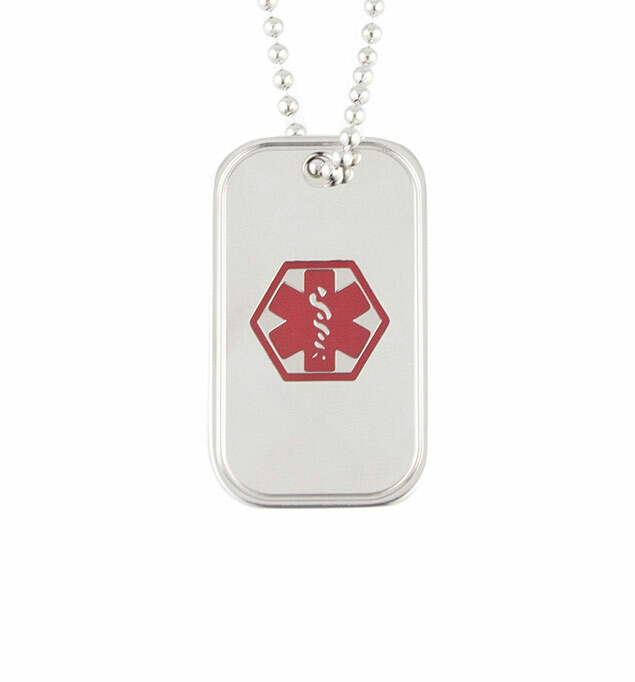 The Hank Tech Med ID Dog Tag features a hypoallergenic dog tag and chain. The bold red medical caduceus symbol on the front serves to inform first responders that you have medical information engraved on the back. The Hank Tech Med ID Dog Tag includes a secure MyID online health profile account, which first responders can access via QR code, website, or 24-hour call center. These access points come laser engraved on the back, and your MyID service is included with your purchase.